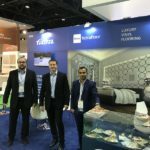 In the end of November 2017, company Fatra took part at one of the biggest international exhibition focused on construction and building industry – The Big 5. 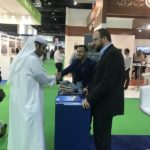 Exhibition took place in United Arab Emirates (Dubai) and there were more than 2,600 participating companies from 60 countries of the world. There were more than 75,000 visitors, mainly planners, architects, consultants and agents of business and application companies. There was a strong presence of Czech exhibitors and manufacturers, who had their shared exhibiting exposition under the auspices of organization for support of export CzechTrade. Region of United Arab Emirates is currently undergoing big boom of building industry, there are more and more high-rise buildings, hotels and new modern shopping centers being build. In 2020, Dubai is going to hold world fair EXPO and until then, it is planned to build whole new district Dubai South, line of metro and another airport. At our stand of size 3×8 m our company primarily presented range of goods of waterproofing foils, and secondarily also vinyl floors. 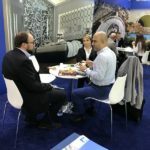 Visitors of our exposition were mainly interested in waterproofing systems of substructures and tunnels, and also wide range of vinyl floors in rolls or in parts caught their eye.